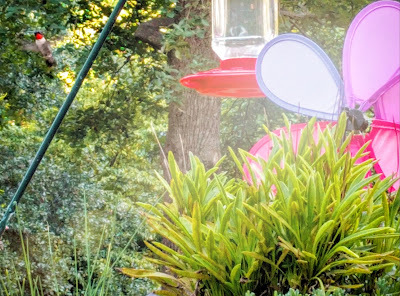 As much as I love fall & the cooler temps, I miss the hummingbirds when they head south. They are still active in our backyard & every spring/summer we are on constant lookout. This evening I caught a few snapshots (which then Google/my phone kindly turned into gifs - love that!) - at one point there were four buzzing around me! Happy Labor Day weekend! They are so amazing (can you tell I am a little obsessed? )!